Papa Shango was a feared voodoo practitioner in the WWF with an appearance reminiscent of the loa, Baron Samedi. The character debuted on the edition of February 8, 1992 of Superstars, defeating enhancement talent Dale Wolfe. The character carried a skull to the ring billowing smoke and could control arena lights, allowing for strange goings on in the ring, and later could “cast spells” to cause opponents pain and to make them vomit from afar. Shango was thrust into the spotlight almost immediately, running in on the Hulk Hogan vs. Sid Justice main event at WrestleMania VIII. Shango actually missed his cue to run in, hitting the ring late. The finish was supposed to be Sid getting disqualified because of Shango breaking up the pinfall attempt by Hogan after he hit the big leg drop. However, due to Shango getting to the ring late, Sid was forced to kick out of the legdrop to save face. Sid’s manager, Harvey Wippleman then jumped on the apron, and the referee signalled for the disqualification at that point as Shango was just getting to the ring. The Ultimate Warrior then returned to the WWF by running to the ring and helping Hogan against Sid and Shango. After WrestleMania, Sid and the Warrior were scheduled to begin a feud. However, Sid had previously failed a drug test and was let go by the WWF. The feud was then re-written with Shango instead of Sid, where he would cast voodoo spells on his opponent. Despite numerous segments being shown on television every week (Warrior vomiting and inexplicably bleeding), the angle went nowhere, as Warrior challenged Randy Savage for the WWF World Heavyweight Championship at SummerSlam, apparently forgetting about Shango. Meanwhile, Shango defeated Tito Santana in a dark match at the event. When Shango was finally set to have a match with Warrior in November 1992, Warrior was released from WWF. However, Shango received a WWF World Heavyweight Title shot against Bret Hart on Saturday Night’s Main Event, but was unsuccessful. Wright’s final PPV appearance as the Papa Shango character was at the 1993 Royal Rumble (where he was eliminated in under 30 seconds). He would appear in another pay-per-view dark match against Tito Santana at WrestleMania IX, with Santana getting the victory. Shango was seen infrequently on WWF television afterwards, and following a loss to “Hacksaw” Jim Duggan in a 1993 King of the Ring qualifying match, he made two final televised appearances against enhancement talent in June and July 1993.  Papa Shango will be appearing at Frightmare In The Falls Saturday only.